The Christian life is not a playground; it is a battleground. God has called you to be a victorious warrior for Jesus Christ. 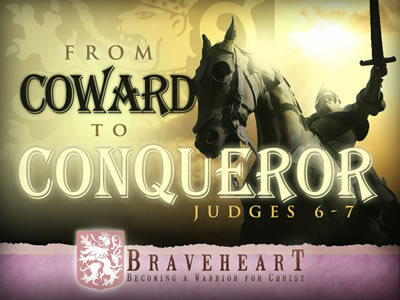 In this inspiring 9-MESSAGE series, Pastor Jeff Schreve shares how you can find courage and strength in the Lord to be the “braveheart" you were made to be. 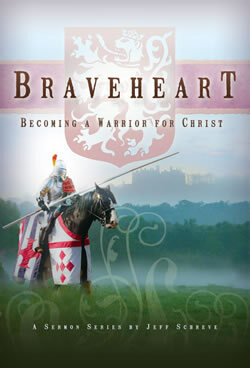 Learn how to become a victorious warrior for Christ. Do you feel like your prayer life is suffering? Are you ready to learn the benefits of being a prayer warrior? Join Pastor Jeff Schreve for an enlightening message about the importance of prayer if you want to defeat the enemies in your life. Prayer, God's way, will make you a better warrior for Christ. Are you ready to be delivered from the storms in your life? Pastor Jeff Schreve has a message of encouragement that will help you understand that storms in life only provide God an opportunity to show His power. He never promised a storm-free life, but He did promise to see you through it to safety. It is never time to quit. God has a miracle ready for you. Do you struggle with fear? Are you ready to be stand up against that fear and be stronger in life's struggles. Are you ready to stand up for the Lord? Join Pastor Jeff Schreve for an empowering message about God's way to defeat the fear factor in your life. The Christian life is not a playground, it is a battleground. God has called us to be victorious warriors for Jesus Christ. The devil, however, is running scared from some faithful Christians. 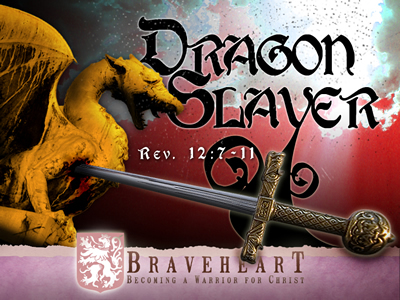 Find out what he fears the most in this inspiring message from Pastor Jeff Schreve where you’ll discover courage to be the “braveheart” you were made to be. Do you struggle with a particular sin that causes you to continuously fall? Are you ready for victory against that sin? 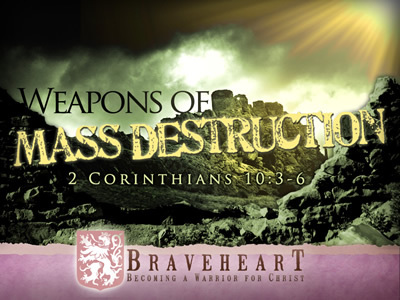 Pastor Jeff Schreve's empowering message will help you break down strongholds by using the weapons of mass destruction God provides to fight the devil. Do you have that one big "giant" in your life that you just can't whip? A "giant," of course, is that one temptation, one problem, one sin, that just won't go away, no matter how hard you battle it. 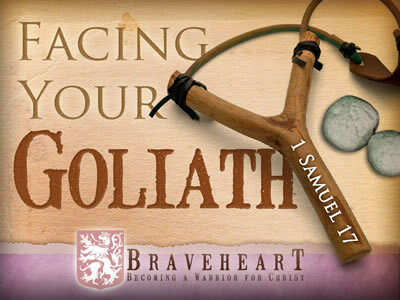 To become a warrior for Christ, you must first defeat this Goliath "giant.” In this empowering message, Pastor Jeff Schreve shares how God's Word reveals the answer to overpowering and defeating the Goliaths in your life. The Christian life is not a playground. It's a battleground. 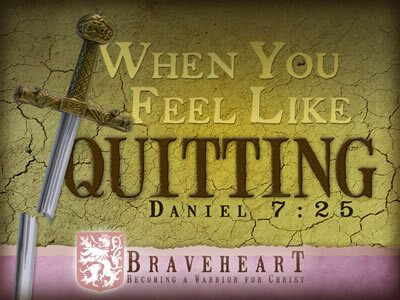 You surely face struggles in life with health, finances, relationships and job stresses. Are you ready for victory against these struggles? 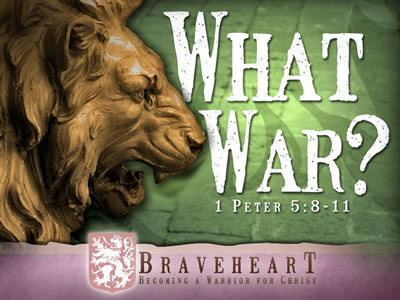 Pastor Jeff Schreve will help you realize that you really are in a war and provide insight about the weapons you'll need in the battle to defeat the opposition.